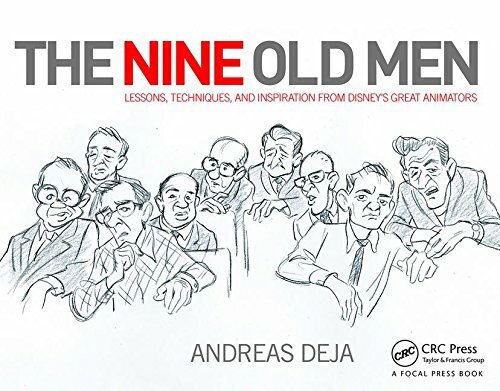 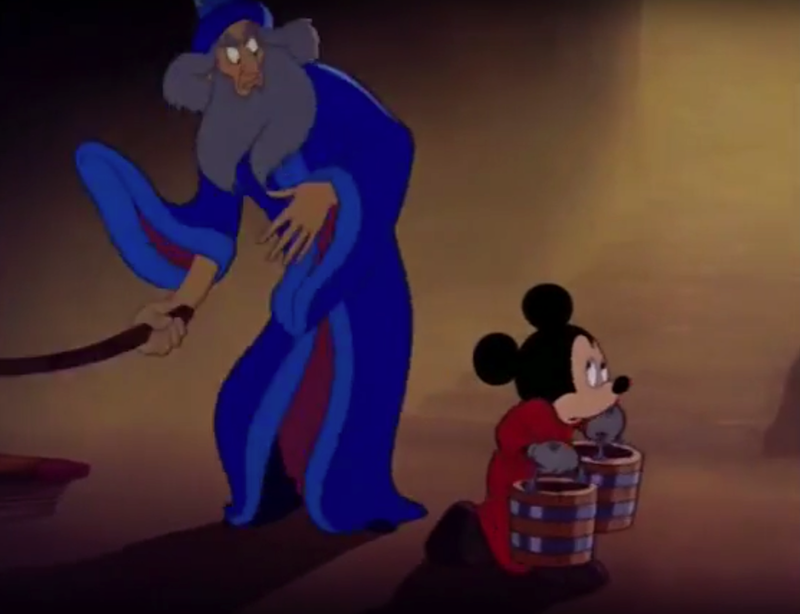 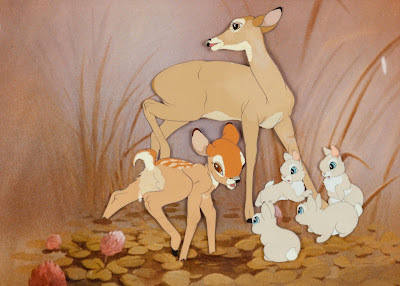 This Disney movie turned 70 years old, a couple of days ago. 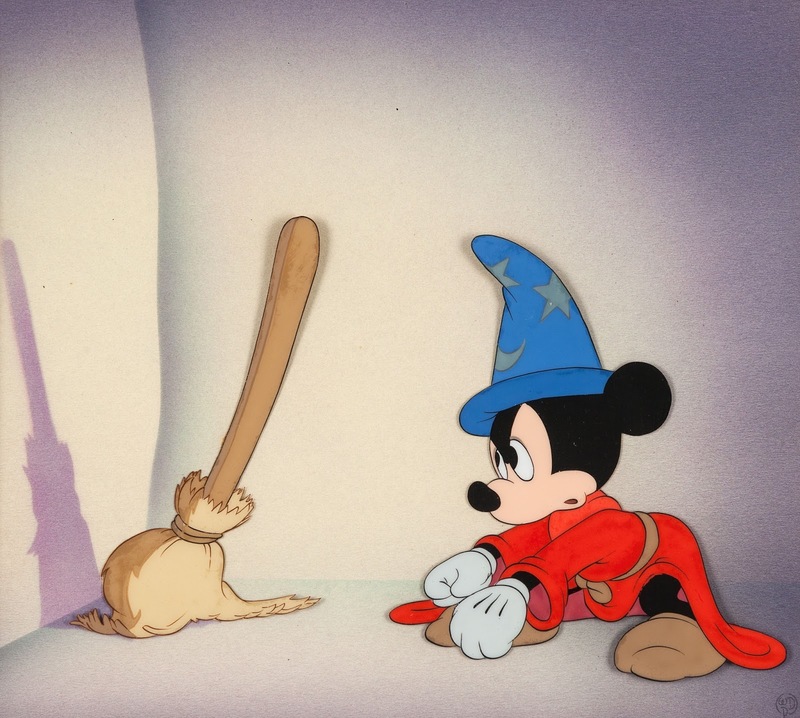 As you probably know there are two movies in one, two different stories combined into a feature length package. 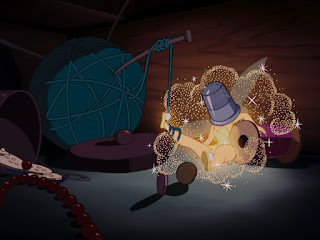 Bongo, the story of a little circus bear, and the other Mickey and the Beanstalk. 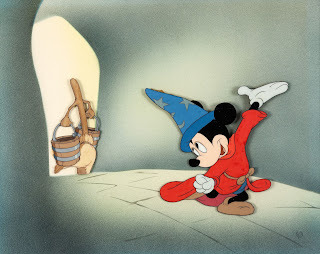 I remember seeing Mickey and the Beanstalk as a kid, and loving it. I still do. Production on the film was difficult. 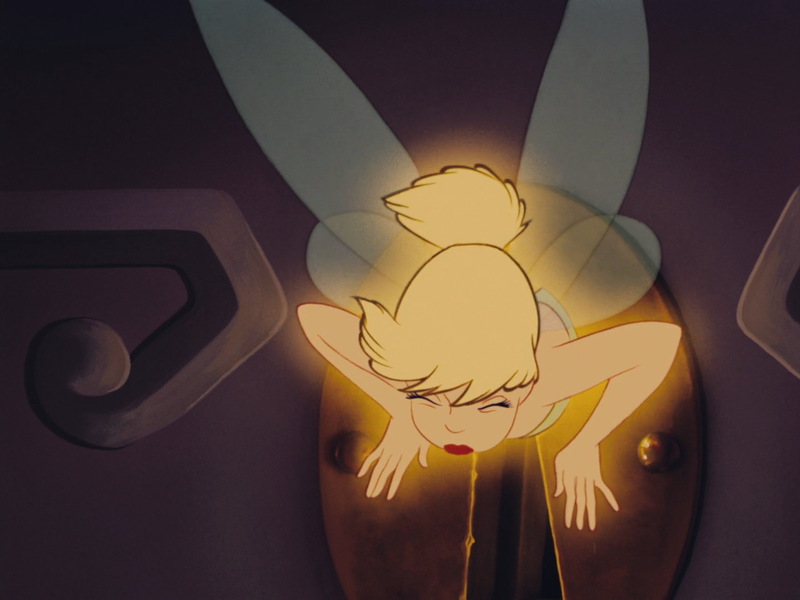 First the story had been conceived as a full length feature film, but was later reduced to just under half an hour. 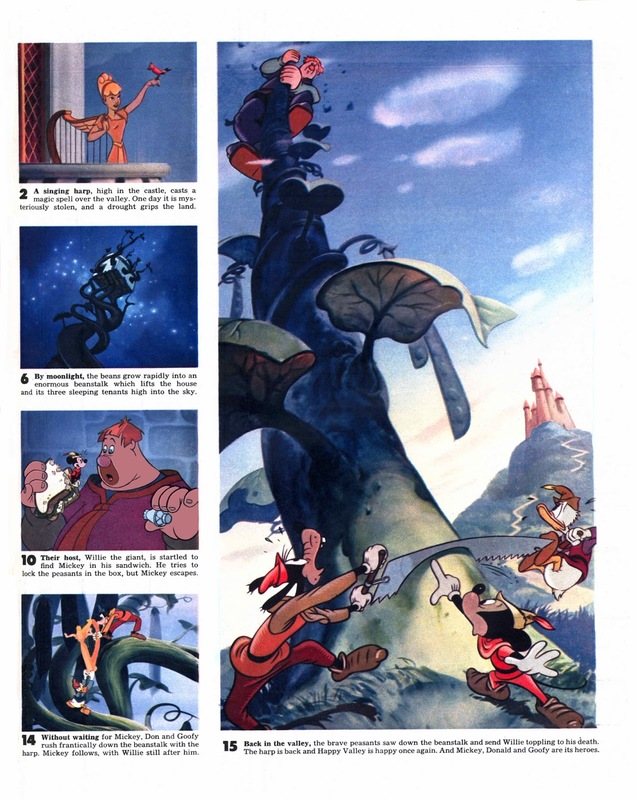 Then because of WW II the movie was put on hold because propaganda films for the US government took priority. 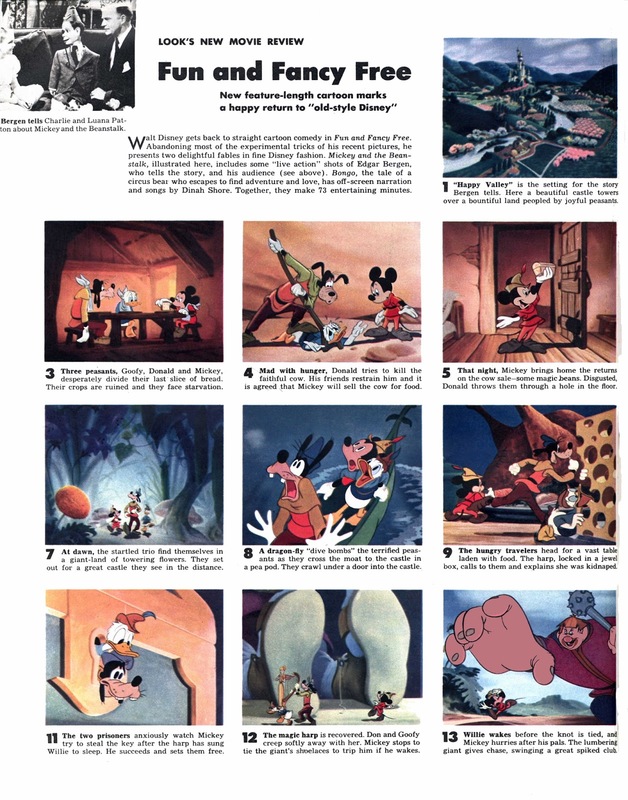 Fun and Fancy Free wasn't released until September of 1947. 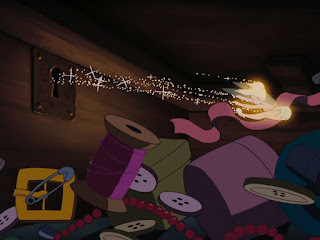 I love it's colorful art direction, the story treatment and the animation. 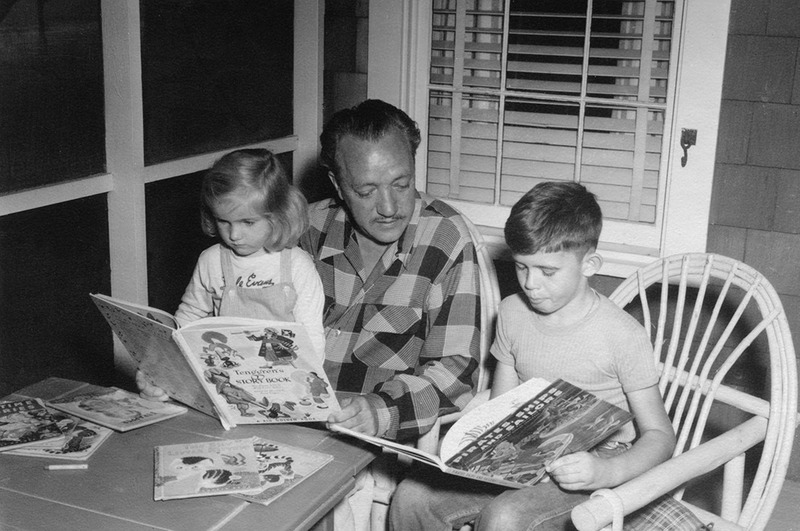 (Although it is not on the level of earlier Mickey shorts such as The Brave Little Taylor.) 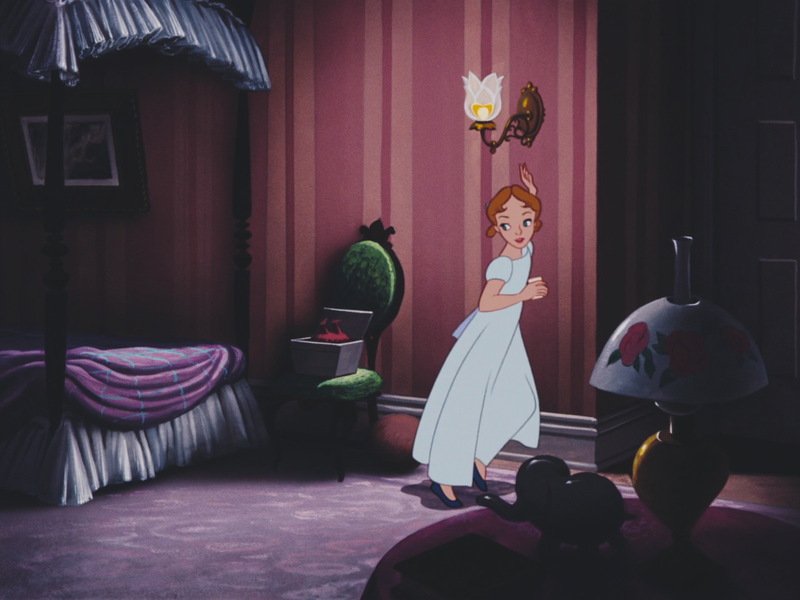 The idea of little characters entering an oversized Giant's world is beautifully presented with stunning layouts and backgrounds, extreme up and down shots are all over the film. 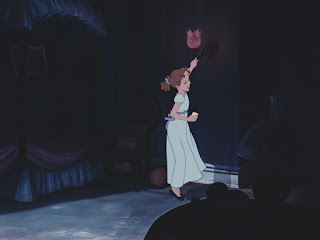 On this anniversary I recommend re-watching the movie, I think you will enjoy it once you get over the poorly written live action sections. 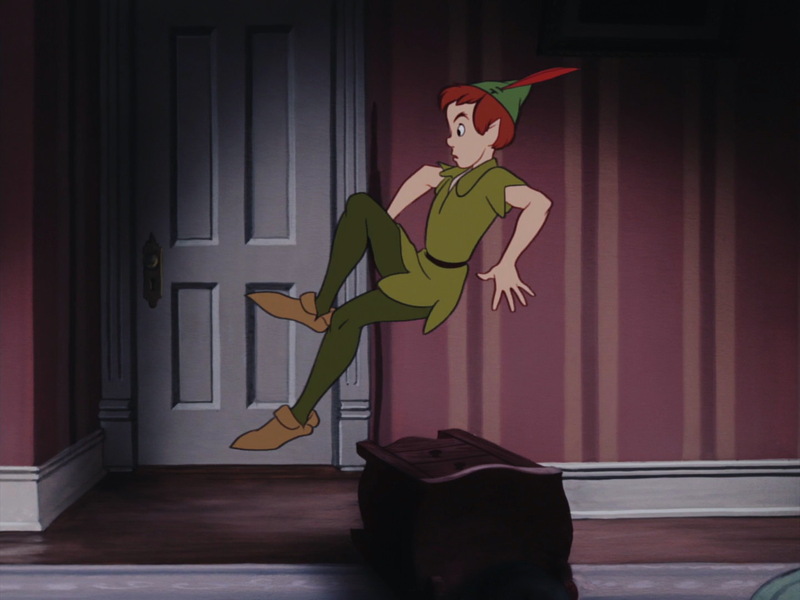 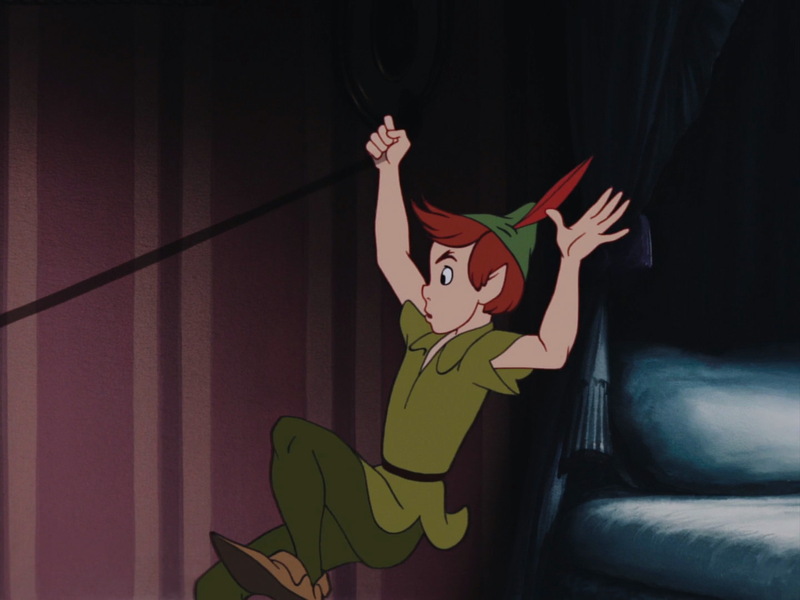 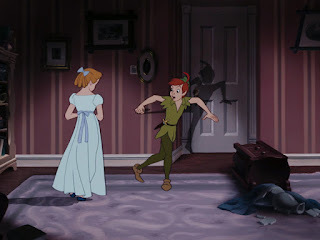 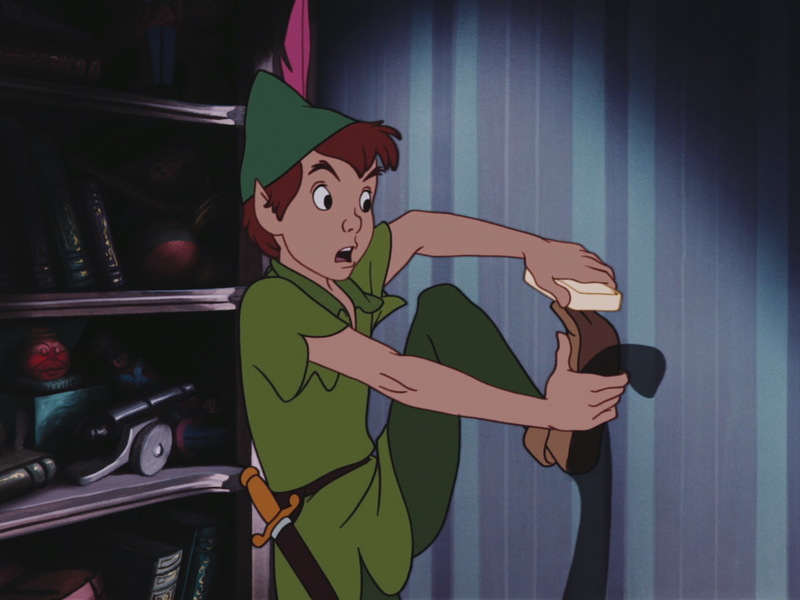 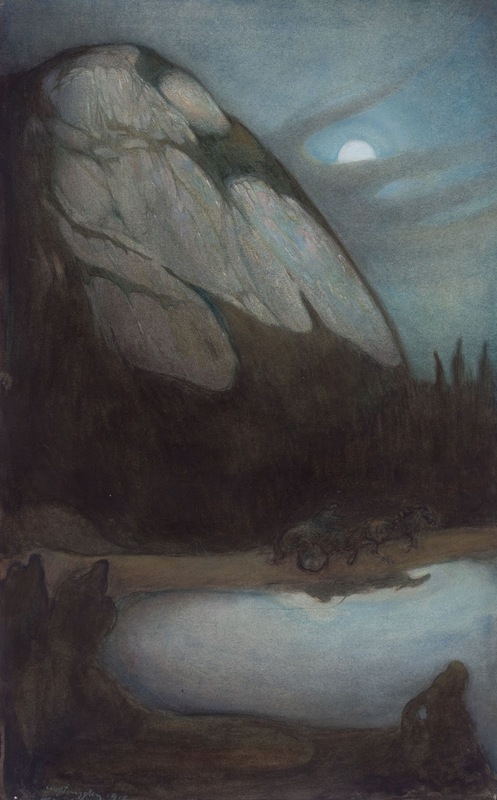 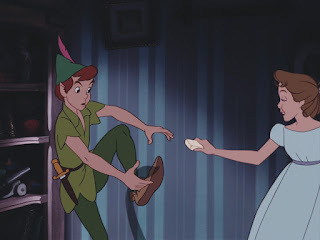 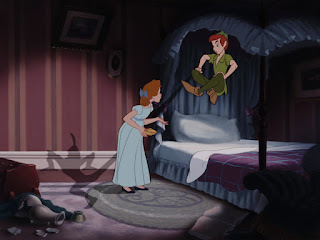 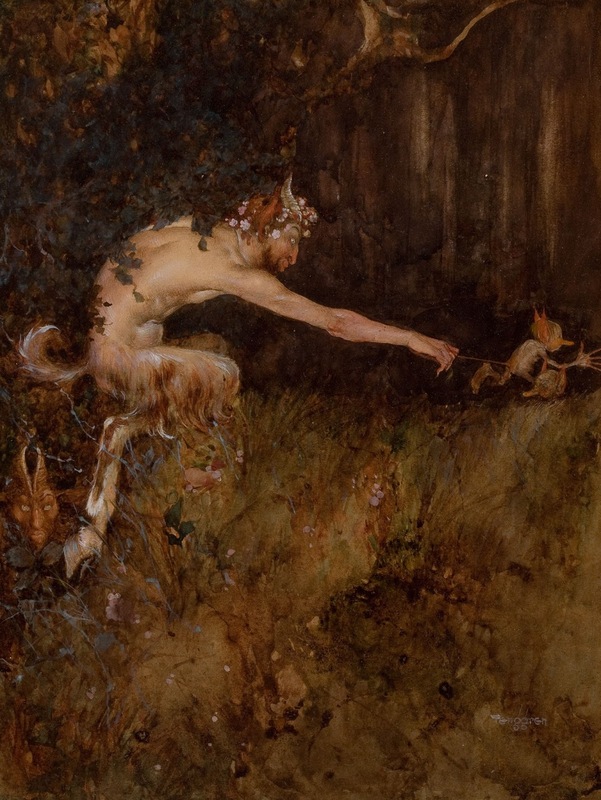 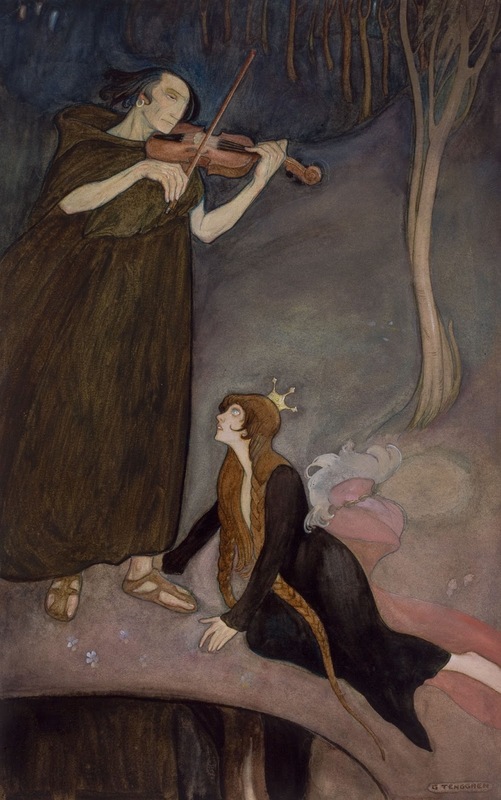 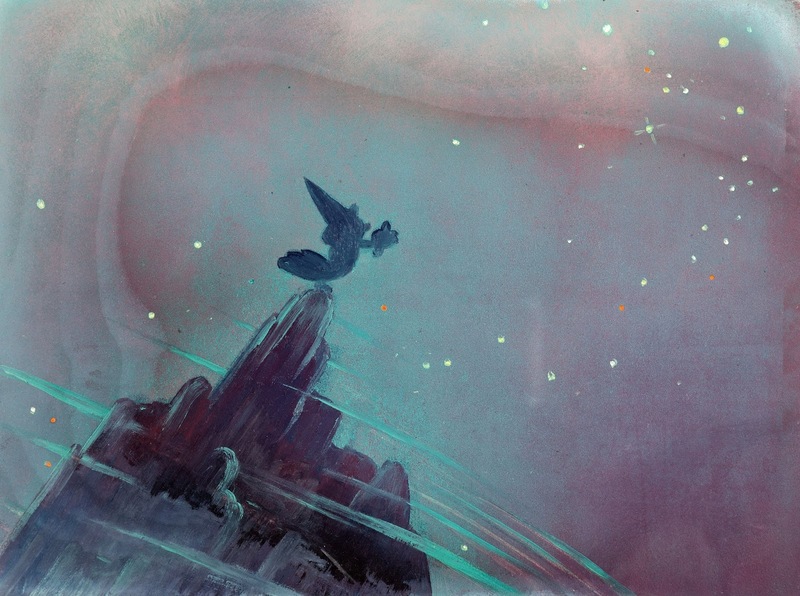 Here is part II of the sequence in which Wendy meets Peter Pan in person. 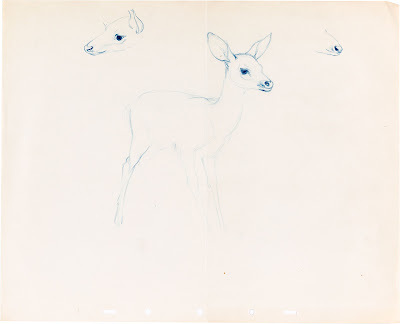 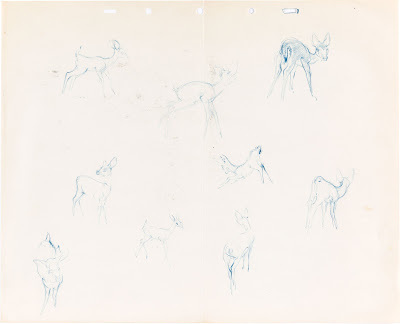 Again, pretty astounding how closely the rough thumbnail sketches define the final staging and continuity. 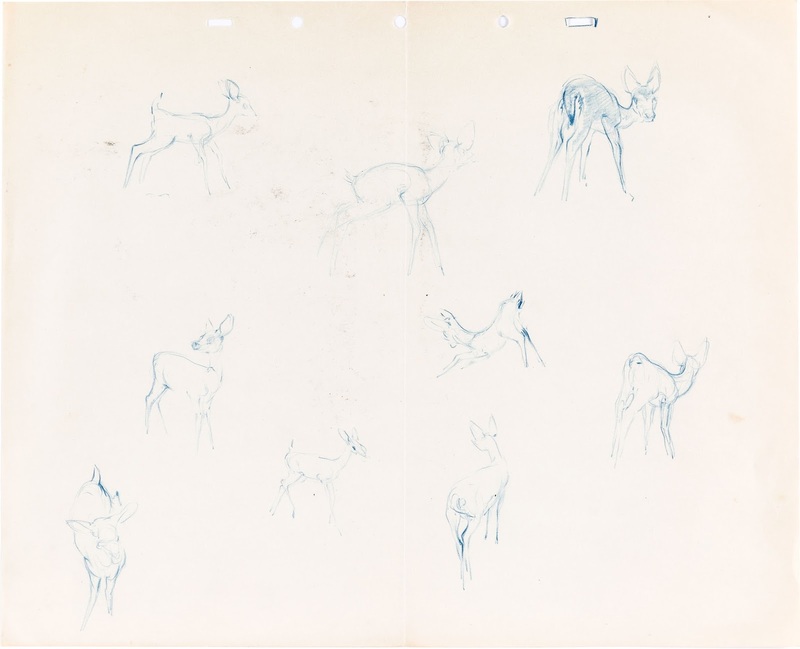 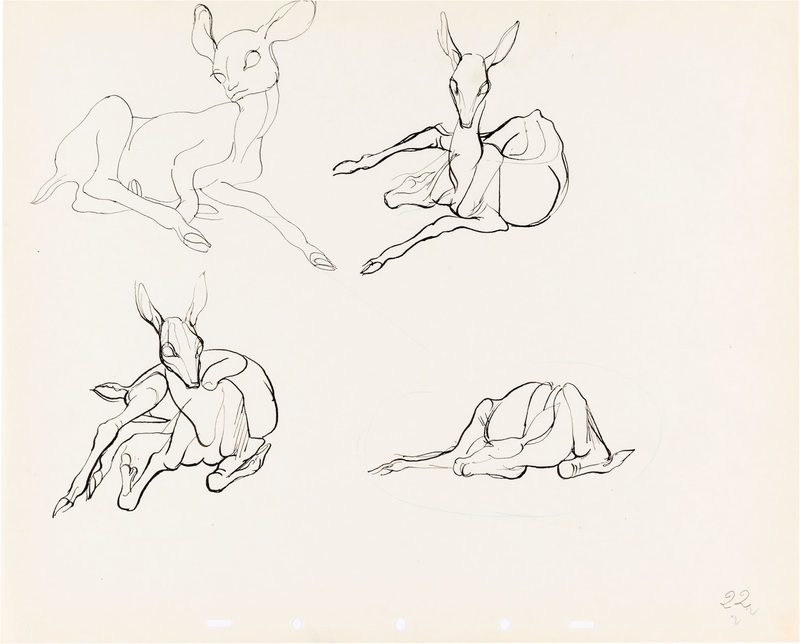 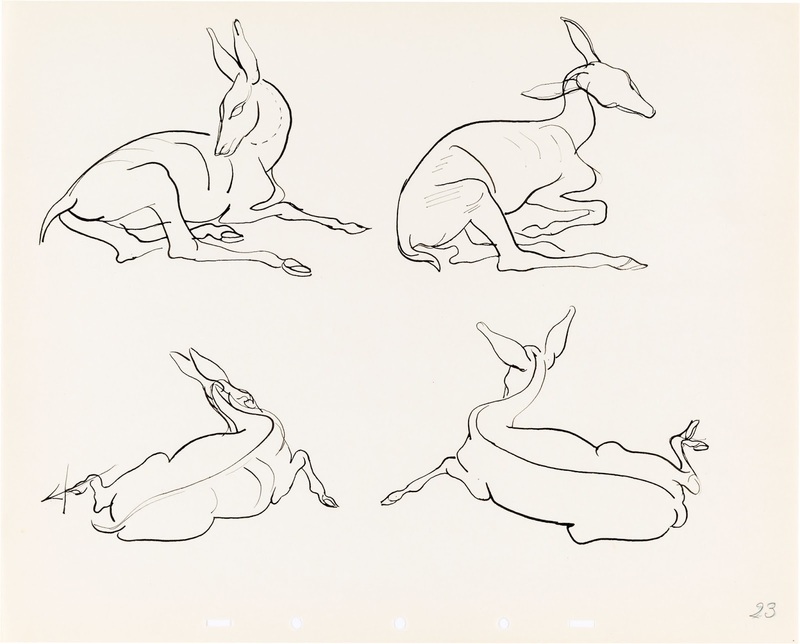 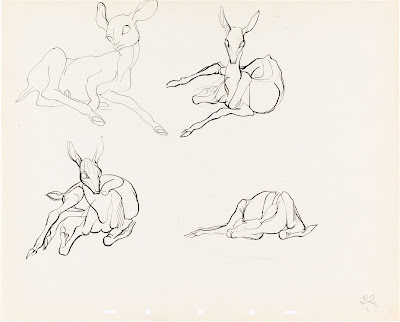 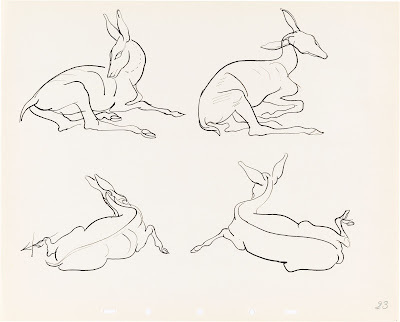 Here you can compare staging and posing sketches to final film frames. 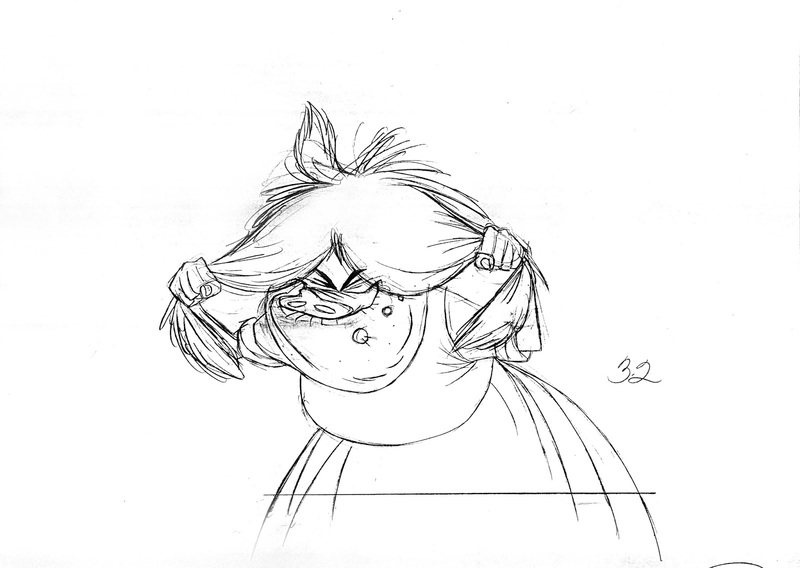 These little thumbnails were done based on the storyboard, but with final cutting and continuity in mind. 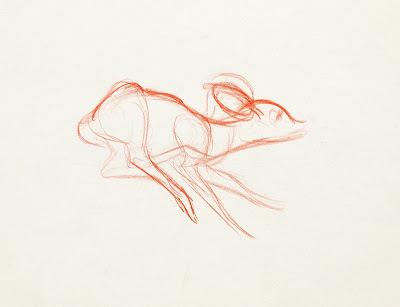 Everything is worked out and ready to go into final production. 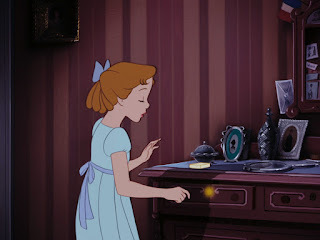 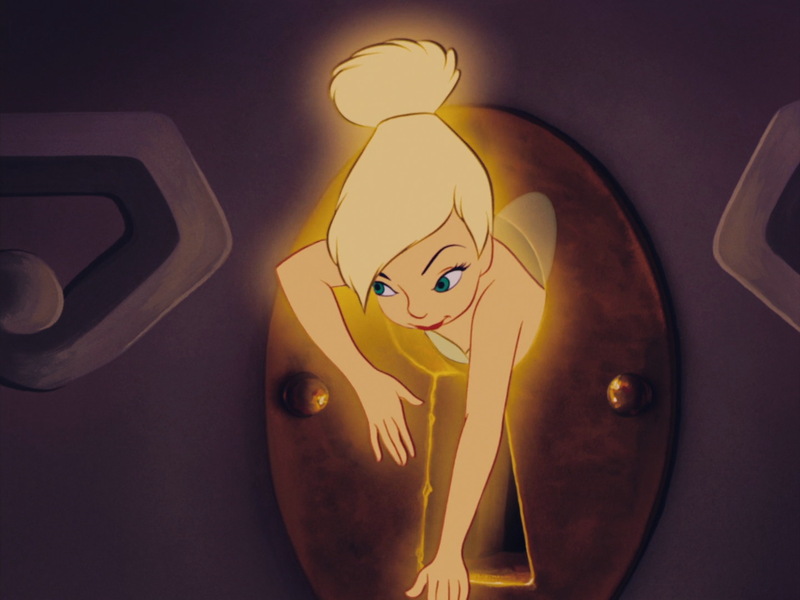 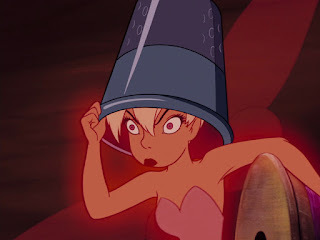 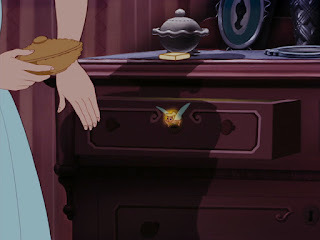 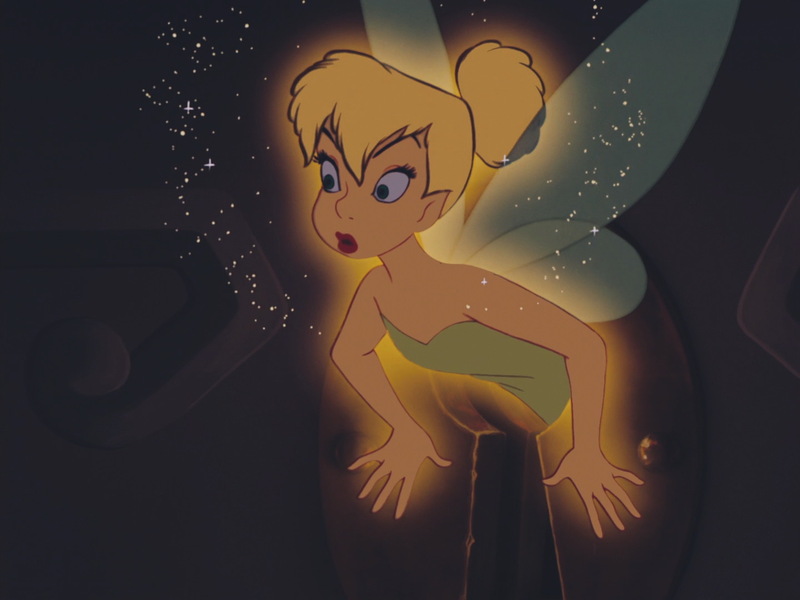 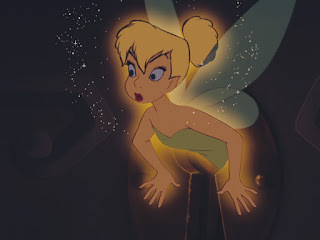 What is kind of interesting to me is to see that Tinker Bell, stuck in a key hole, is framed by an oval shape outside the drawer, and by a square inside the drawer. 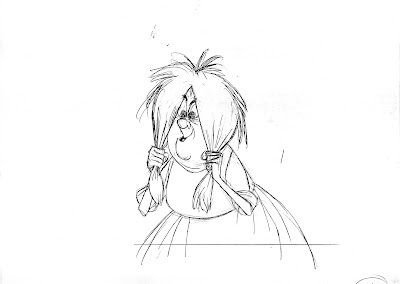 This makes for a more clear cuts. 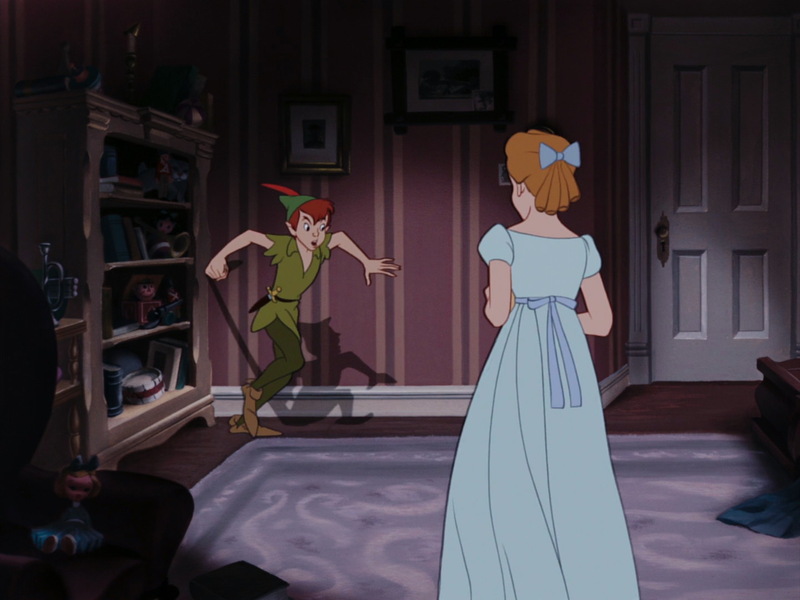 The audience registers oval outside, and square inside. 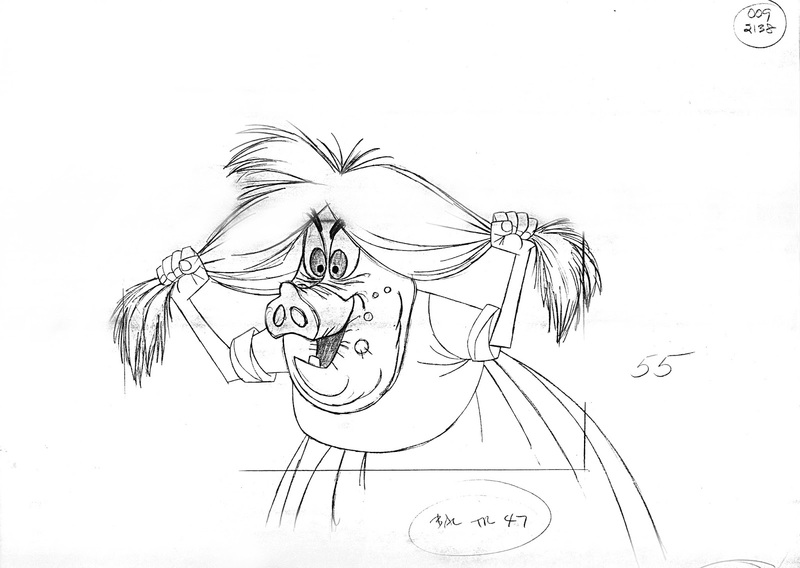 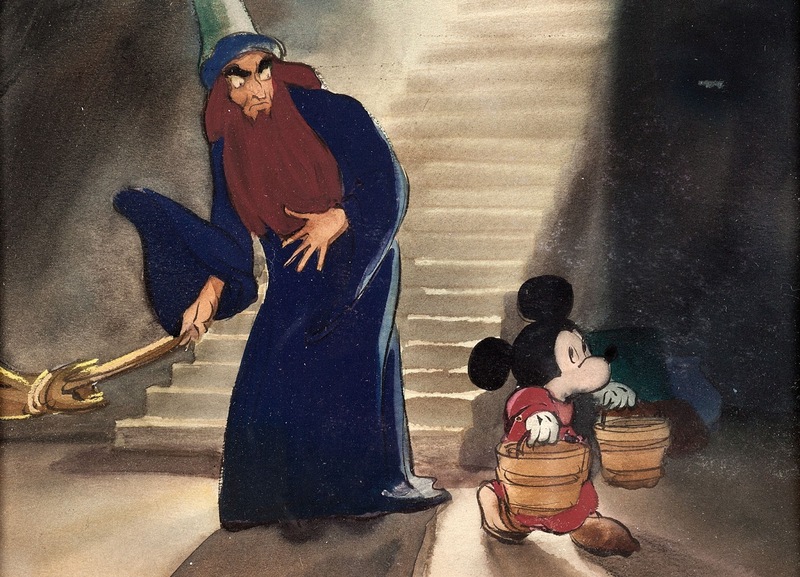 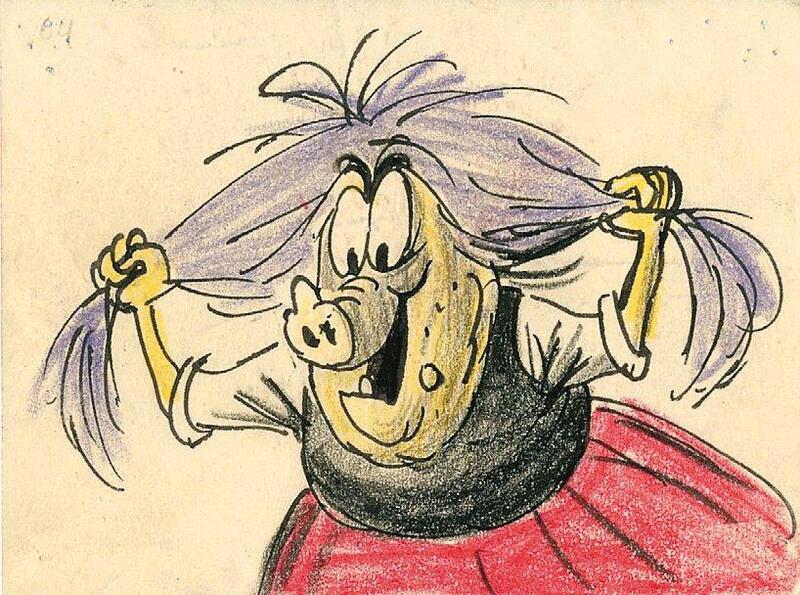 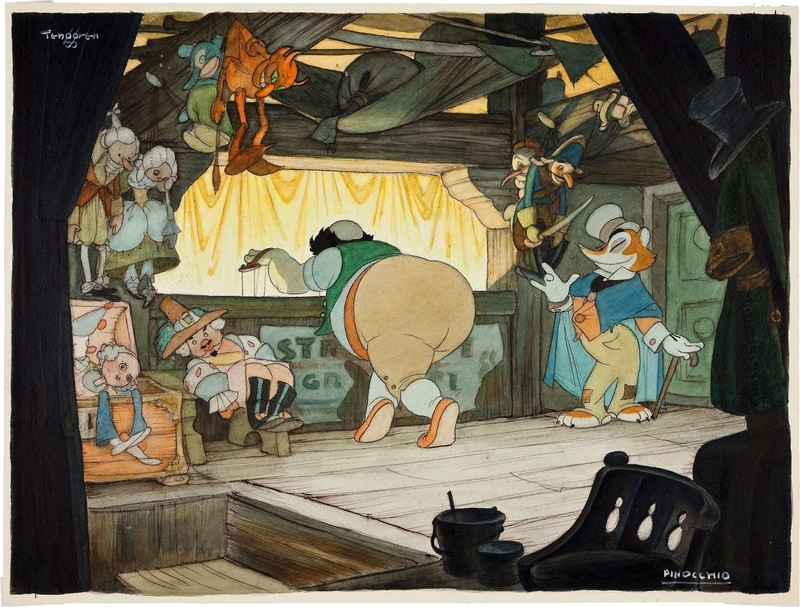 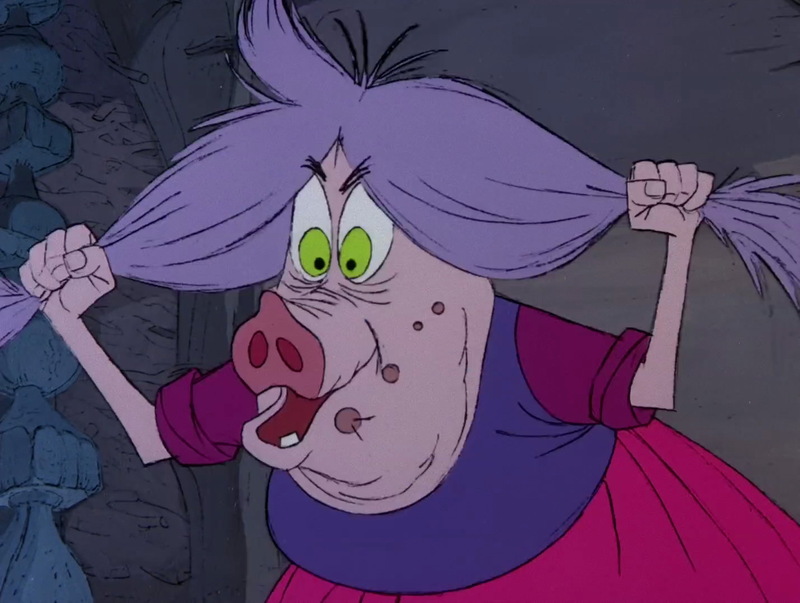 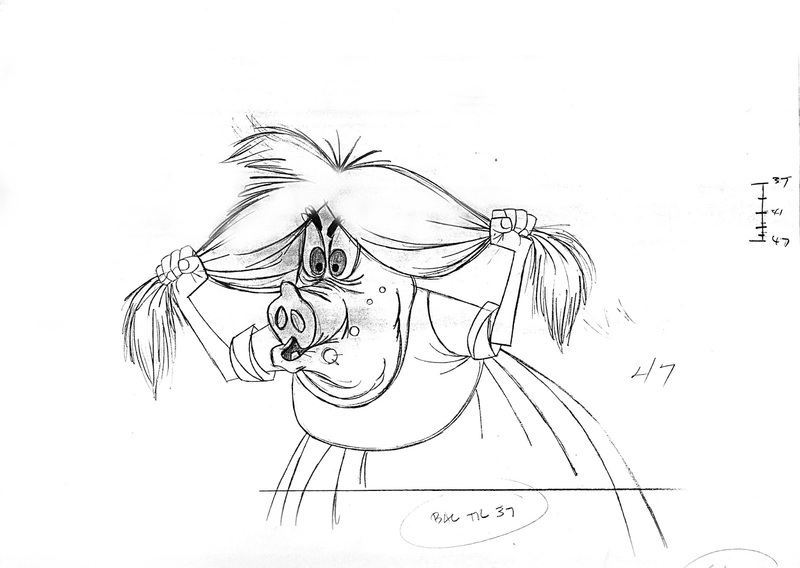 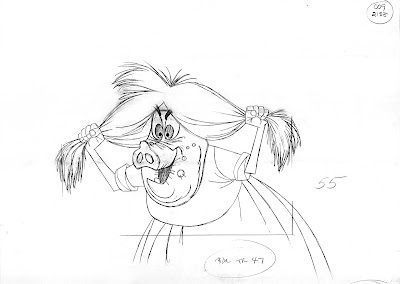 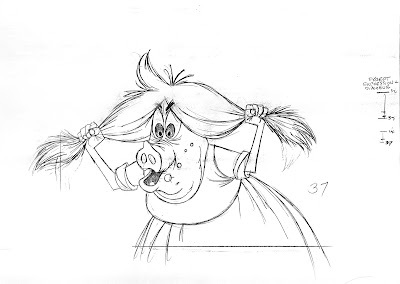 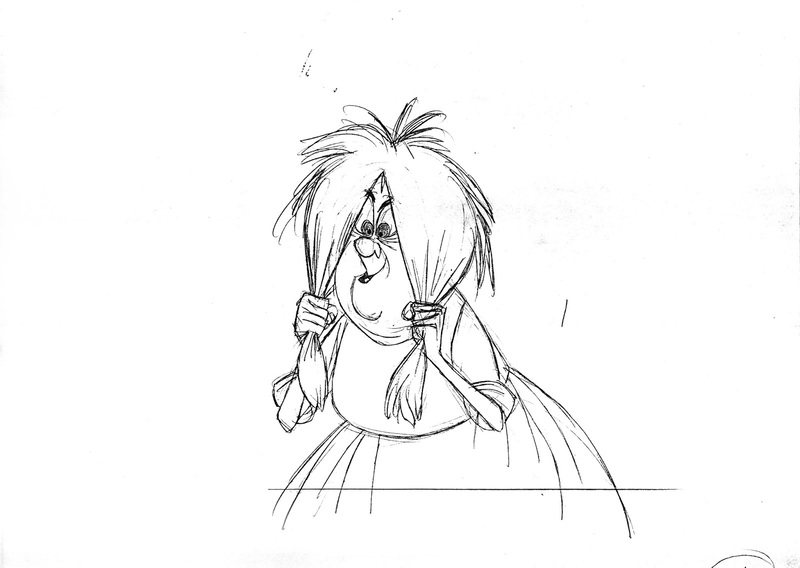 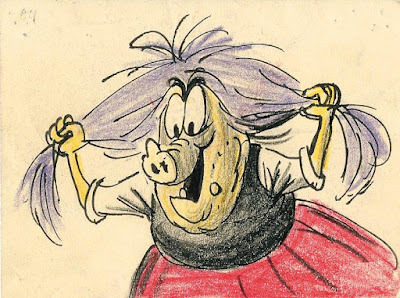 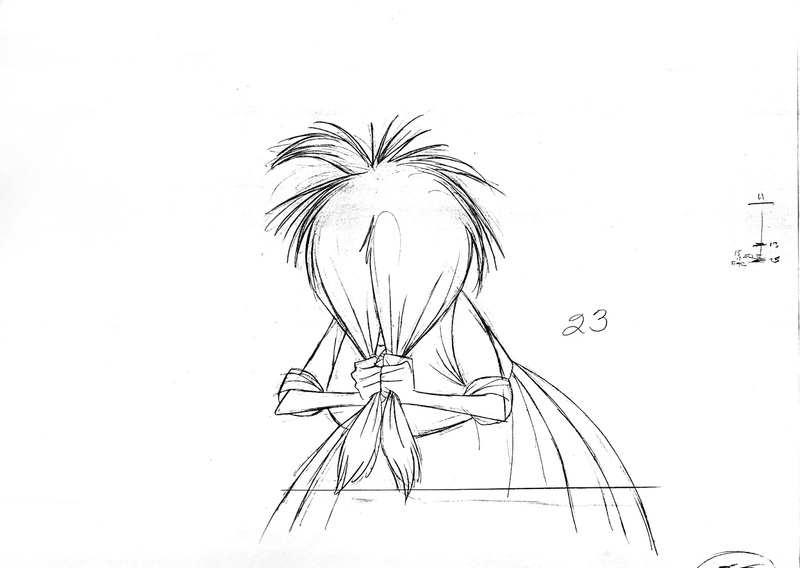 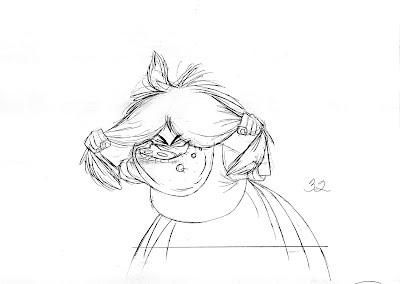 This story sketch by Bill Peet inspired Milt Kahl, who aimed this scene featuring Madame Mim, as she temporarily turns herself into an "ugly" creature in front of Wart. Milt used practically everything Peet provided in terms of staging, expression and design. 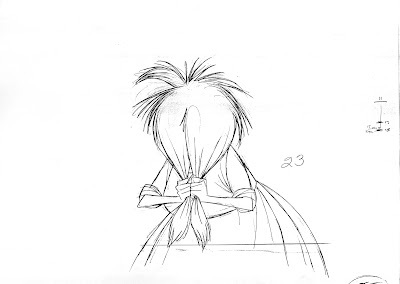 Mim completely covers her face with her hair, before she reveals a scary face. 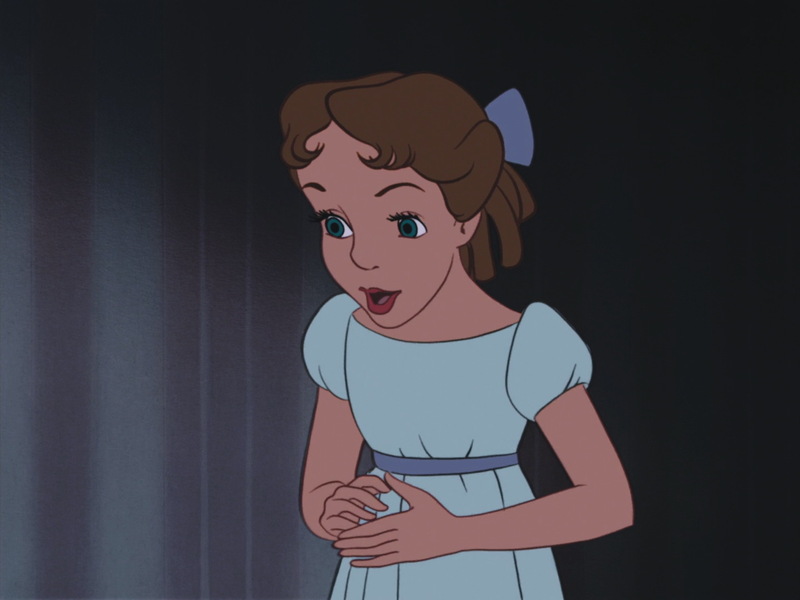 There is a a strong squash expression on "B" followed be a stretch for the "OO". 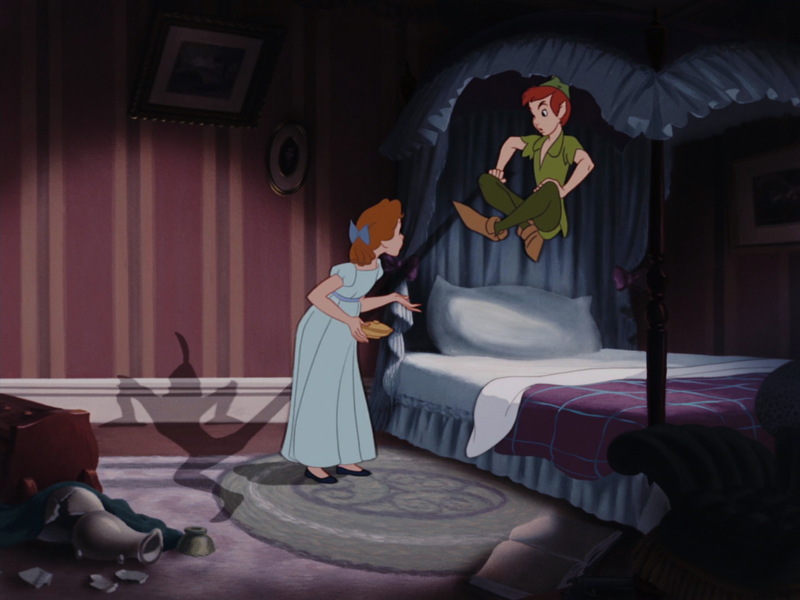 A simple scene, beautifully executed.